Salt Lake City, UT – Summer is on its way out the door, and that can only mean one thing: Another incredible Wasatch winter season is on its way. Utah’s 14 ski resorts, down in count by one this winter due to the new combination of Park City and The Canyons under the Vail Resorts umbrella, worked tirelessly this summer to add new terrain and on-mountain enhancements, build lifts, remodel accommodations, and prepare alluring anniversary celebrations and packages. While many may know about Utah’s enviable accessibility (10 resorts are located just under an hour’s drive from the Salt Lake City International Airport) and about the state’s 500 annual inches of “The Greatest Snow on Earth,” this year the ski resorts of Utah want to show how much more they have to offer. The 2015-16 season is a big year in Utah, as over $100 million in on-mountain capital improvements are set to debut across the state, highlighted by two high-profile mergers and acquisitions. 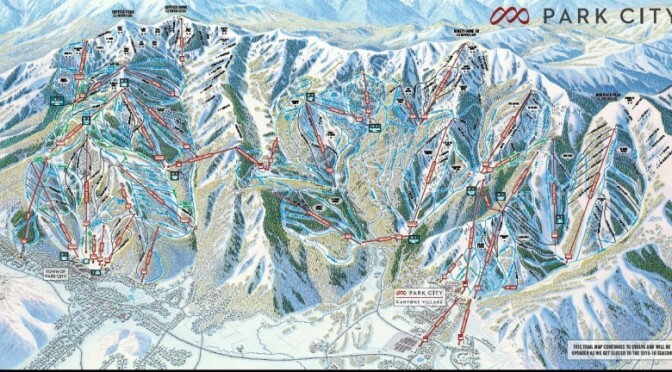 Vail Resorts is in the midst of a $50 million dollar transformational capital program that will for the first time connect Park City Mountain Resort and Canyons Resort, creating what will henceforth be known only as Park City – the largest ski and snowboard resort in the United States. 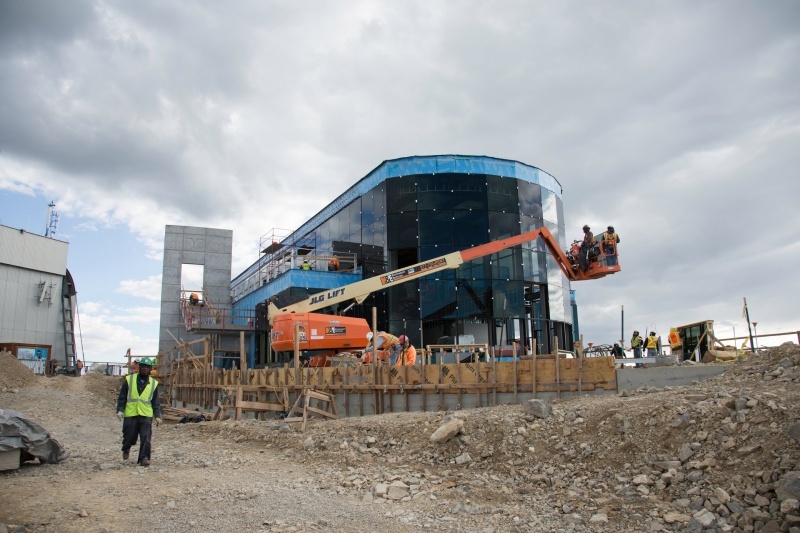 Boasting 7,300 skiable acres, Park City will be completed before the start of the 2015-16 season. As of May 1, 2015, Deer Valley Resort officially took ownership of Solitude Mountain Resort from the DeSeelhorst family and commenced running operations on site. Deer Valley Resort announced a list of capital improvements, including the new high-speed quad Summit Express chairlift at its new property in Big Cottonwood Canyon. Another $35 million dollars in capital improvements will crown Snowbird Ski and Summer Resort with a new mountaintop facility named Summit Lodge. Following groundbreaking in 2014, the new structure atop Hidden Peak is scheduled to be completed by late fall. Guests can look forward to a new building with spectacular, 360-degree eagle eye views from 11,000 feet. 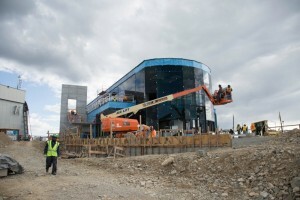 The two-story glass-enclosed structure will replace the temporary-turned-permanent Ski Patrol building and warming hut that has greeted Snowbird Aerial Tram riders for more than 40 years. The centerpiece for Park City’s $50 million dollar capital program is the Quicksilver Gondola, an eight-passenger gondola that will leave from the bottom of Silverlode on the Park City side of the mountain and end at Flat Iron at what was formerly known as Canyons Resort. In addition, on the Park City Mountain side, the King Con lift will be upgraded from a four-person to a six-person high-speed detachable chair lift to help increase capacity. The Motherlode lift will also be ungraded from a fixed-grip triple to a four-person high-speed detachable. Deer Valley Resort’s biggest capital improvement at Solitude Mountain Resort for the 2015-16 season will be removing the current Summit fixed-grip double chairlift and installing a new four-person detachable high-speed quad. This will enhance access to Honeycomb Canyon, which offers some of the best in-bounds backcountry-style terrain in the state. On the Park City mountainside, new 500-seat eatery Miners Camp will replace the current Snow Hut next to the base of the Silverlode lift and the new Quicksilver Gondola. Meanwhile, upgrades to Summit House will improve the flow of diners in the space and increase seating. On the former Canyons Resort side, Red Pine Restaurant will be renovated to the tune of 250 additional indoor seats. Snowbird Ski and Summer Resort’s Summit Lodge on top of Hidden Peak will be transformed into a 23,000 square foot building that will provide cafeteria seating for 192 people on the first floor, offer private dining room seating for 180 guests, restrooms, a coffee/pastry shop and Ski Patrol, and boast a 10,000 square foot deck. Deer Valley Resort will be remodeling and improving services at Solitude Mountain Resort’s Moonbeam Lodge Restaurant, as well as a complete revamp of menus at all resort restaurants in true Deer Valley culinary style. North Fork Table & Tavern provides unrivaled panoramic views of the Ogden Valley and Pineview Reservoir, between Powder Mountain and Snowbasin. Located in the hamlet of Eden, just 20 minutes northeast of Ogden and near the bottom of the Powder Mountain access road, the lodge is flooded with warm natural light that spills into a cozy and comfortable après-ski lounge. The restaurant‘s full service bar, and plenty of communal seating throughout, make it the perfect meeting place to relax after a long day of shredding. Park City’s $50 million plan rounds out with additional snowmaking on two trails in the Iron Mountain area on the former Canyon Resort’s side, to handle increased skier traffic for Quicksilver Gondola access. Deer Valley Resort built a new ski run at Solitude Mountain Resort from the top of the existing Apex Express chairlift to the bottom terminal of the new, realigned Summit Express chairlift, significantly lessening the current travel time to Honeycomb Canyon. Ogden, Utah, located just 35 miles north of Salt Lake City, is working hard to break the mold of being “Utah’s best kept secret.” Ogden has officially launched a new Ski3 Pass this year, which offers a full day lift ticket at Powder Mountain, full day lift ticket at Snowbasin Resort, and a half day at Nordic Valley Resort for $139, contingent upon a two-night stay at a participating hotel. To top it off, those who fly into Salt Lake City via Alaska Airlines will receive a free lift ticket within 24 hours of arrival courtesy of Snowbasin Resort. Park City, now the biggest resort in the United States, will be operating all 7,300 skiable acres under the Epic Pass, which gives consumers unlimited days at Park City and Vail Resorts, in addition to 22 additional resorts around the world. For the best deal, purchase your Epic Pass early. Book your stay in a luxurious cottage at Sundance Mountain Resort and receive two free lift passes per night. This package also includes night skiing on Monday, Wednesday, Friday and Saturday evening. Tickets are good for the Sundance Nordic Center. Eagle Point, a gem in Southern Utah’s Tushar Mountains, is available for private rental Tuesday through Thursday, January 5 – April 3. More information at is available at www.eaglepointresort.com. Whether you are a powder hound, a cruiser on the groomers, or a beginner, there are plenty of packages to help subsidize the cost for families and immerse new skiers/riders into the sport beloved by so many. Ski Utah’s 5th and 6th Grade Passports Program is offered to kids nationwide. Fifth graders receive three free lift tickets at each of Utah’s 14 resorts and sixth graders receive one free lift ticket to each resort, with a $35 processing fee. This year Brighton Resort in Big Cottonwood Canyon has increased the age to “ski free” to 10 years and younger. If you can only make a few turns in the afternoon, Alta Ski Area offers a $10 ticket ($5 if you already possess an Alta Card to recharge) to ski after 3 p.m. on the resort’s Sunnyside, Albion and Cecret chairlifts. Brian Head University Program is a risk-free plan for first time skiers or snowboarders of all ages. They guarantee their Terrain Based Learning program will have you skiing and riding in just three lessons, or receive a full refund. Park City launched Epic SchoolKids in Utah, offering five free days of skiing and riding at Park City for all of Utah’s Kids, Kindergarten through Fifth Grade. It includes a free lesson during the month of January as well. Don’t forget as well that January is Learn to Ski and Snowboard Month (LSSM) nationwide. Many of Utah’s resorts participate and offer packages containing a lift ticket, rentals and lesson for $45. On January 8, 2016, LSSM will be going for the Guinness Book of World Records Largest Ski and Snowboard Lesson, so make sure you head to your local hill to participate. 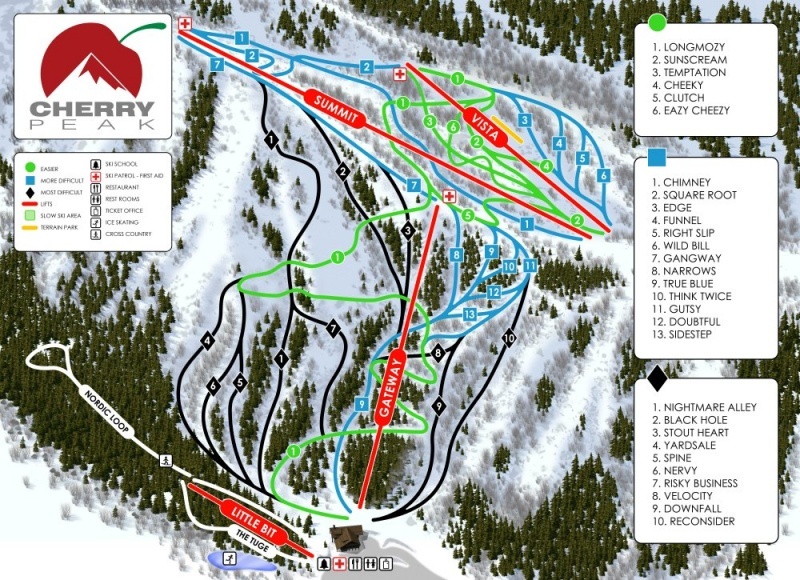 Following a false start last winter, Utah’s newest ski area, Cherry Peak Resort, is opening this season in Northern Utah. Located near the Idaho border just 15 miles from the Cache Valley city of Logan, the resort features three triple chairlifts, a comprehensive snowmaking infrastructure and a 1.25 mile-long run. The resort has an impressive three-story day lodge that will host events year-round. Cherry Peak is the first new ski resort to be built in Utah for decades. Brighton, one of the four Salt Lake City-area ski resorts, celebrates its 80th year in the business this season. Located just 35 minutes from the airport, Brighton is a staple to both locals and visitors alike. Brighton is Utah’s only resort that serves 100 percent of its terrain via high-speed lifts, offering multiple terrain parks and annual snowfalls of over 500 inches. Cheers to 80 more! Snowbasin Resort is also celebrating a big anniversary this season as it moves into its 75th year of operations. Steeped in history, Snowbasin first opened in 1940 and is one of the oldest operating ski areas in the U.S. It proudly hosted the 2002 Olympic Games’ Downhill, Combined and Super G races. To mark the diamond anniversary, the resort will host three events to celebrate the occasion: the Proclamation Day on November 27, which will mark the official day of the 75th Anniversary; the 75th Anniversary Release Party on December 16 will unveil the signature 75th Anniversary beer and whiskey; and on January 8 the 75th Birthday celebration will feature children’s activities, live music and birthday cake. 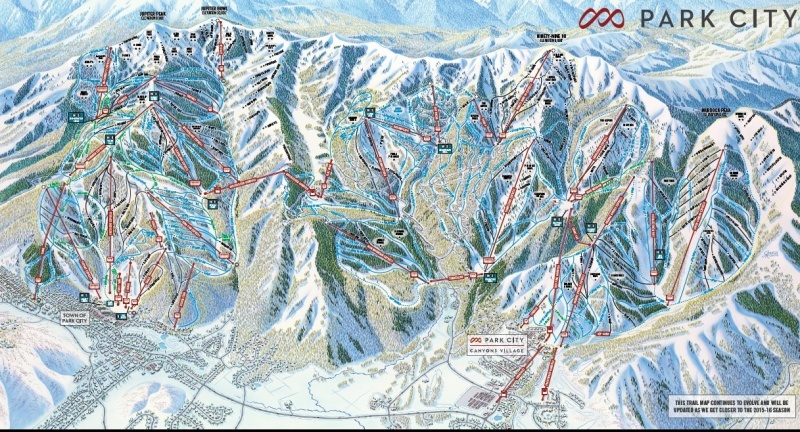 In March of last year, Ski Utah and its resort members launched ONE Wasatch, a cohesive concept that would connect Utah’s seven (now six) Central Wasatch ski areas via chairlift and ski run. The proposed concept would be privately funded, with minimal social and environmental impacts. 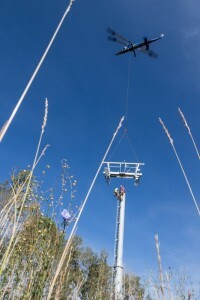 The first of three needed connections — the new Quicksilver Gondola between Park City and the former Canyons Resort — has been approved and will be completed in time for the 2015-16 season. While ski industry stakeholders still believe that chairlifts and ski runs are the most cost-effective and least invasive way to connect the resorts, more robust connectivity via light rail or aerial solutions would still accomplish the overall goal of connectivity – a top priority for the Mountain Accord economic system group that consists of dozens of participating entities including Ski Utah and its member resorts, as well as local municipalities, counties, agencies and environmental groups. Since last winter, the group has pioneered a broad blueprint for conserving Utah’s Central Wasatch Mountains. Key to the Accord will be trading numerous resort-owned parcels in what is currently highly trafficked backcountry terrain for public land at the base of the resorts. This trade would open the door for improvement of resort base facilities and, importantly, service future transportation upgrades.